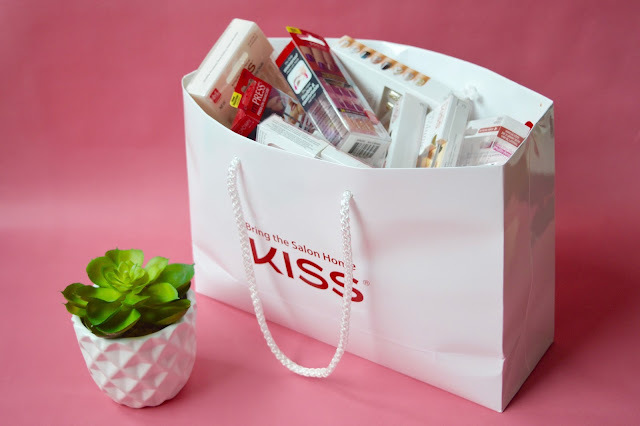 Quite a few months ago, I attended a Kiss event to celebrate the brand's new brand ambassador, -TOWIE's Jess Wright. Having spent the evening trying out some of their new nails and eyelash styles, I thought I'd share my honest review and some favourite eyelashes from their collections. 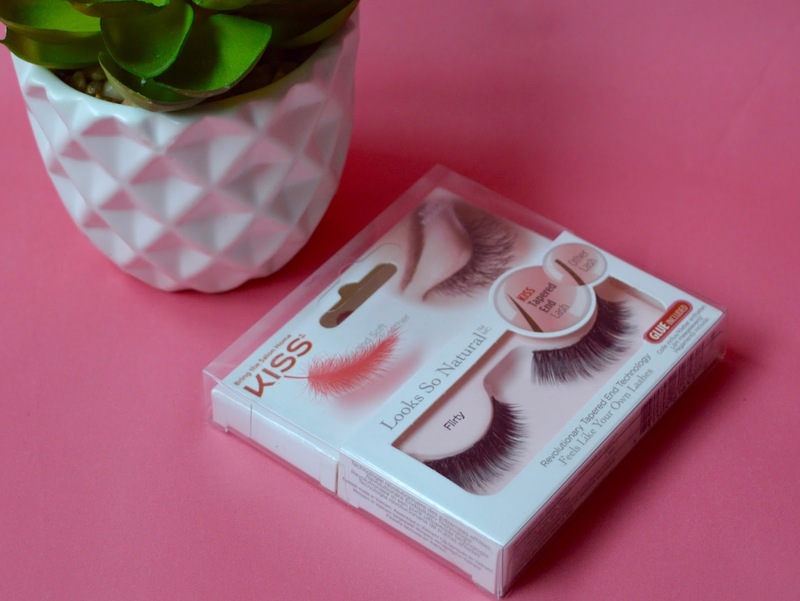 'Looks So Natural' Lash by Kiss, Flirty - If, like me, you like full volume to your lash then Flirty is most likely the one for you. One of my favourite features of this particular set is the tapered ends which gives it that natural looking feather-like finish. Many synthetic lashes will actually have square tips and, although very subtle, this is often what makes them appear very harsh and fake-looking when you apply mascara over the top of them. 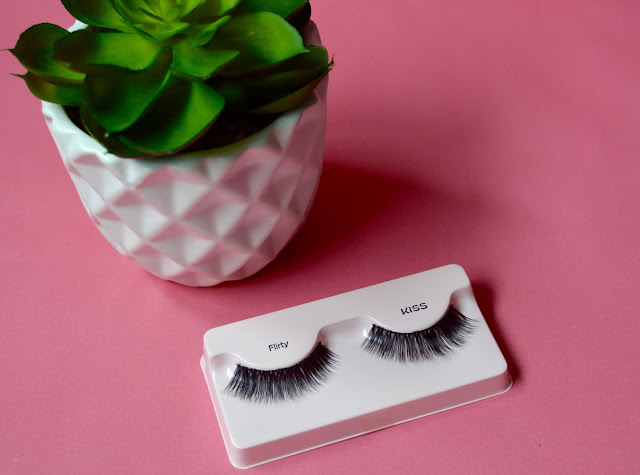 The tapered edge means that these tips are actually pointed to make them blend in more naturally with your own lashes and appear more like extensions than actual false strips. I think this feature is what first attracted me to the brand and I immediately noticed the difference. The only con I can think of with this particular set is that I had to use an Eylure glue instead due to the consistency and stickiness of the Kiss glue. The ends of the strips did come away gradually from my inner lid a little on the first wear but were fine once they'd adjusted to the shape of my eye. They do take a bit of patience on first application and I'd recommend using tweezers to hold the strip down at the corners for a few extra seconds. These are actually my everyday types as I love mine to look as thick and full as possible although they may be more intended for going-out for some of you. 'Blooming Lash' by Kiss, Peony - If you're looking for length and depth, I think Peony may be your best bet from the Kiss collection. I think these ones are particular good as day to evening lashes and have Multi-Angle technology to make them appear more natural - more like individual extensions and less like a strip. 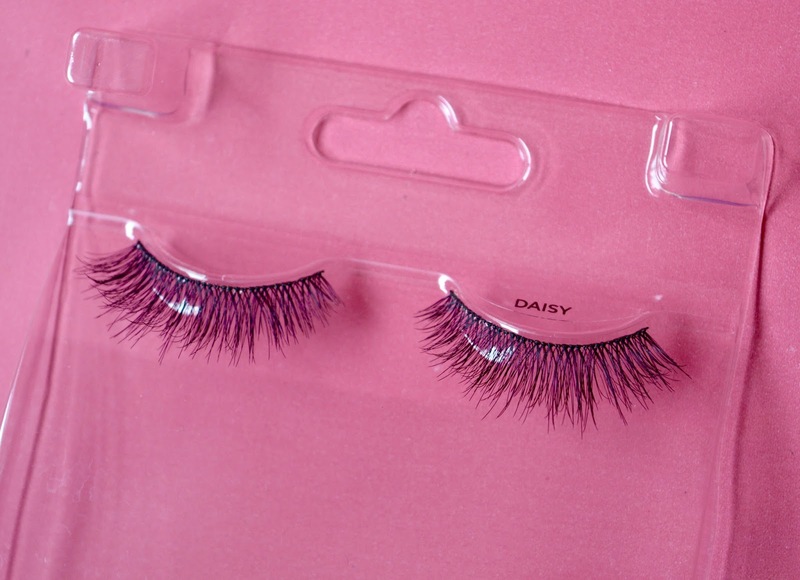 Personally, I'm not a fan of 'cat eye' lashes and much prefer the shape of these. They also have a multi-layer of lashes which makes them appear thicker whilst still being light-weight and feathery. Again, it took a little bit of patience and adjusting to get the ends to stick down on the first wear but once you've broken them in, you can wear these up to 10 times. I'd recommend using Eylure or another brand of glue although the lash itself is really good quality. 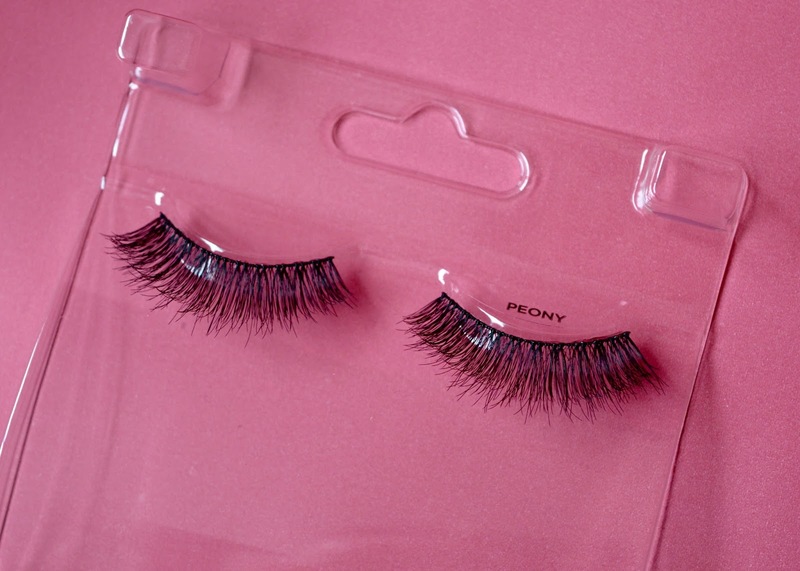 I personally really like that they don't look obviously synthetic and whenever I wear these I often get asked if they're extensions or mink lashes. CF side note: please do NOT use mink lashes - there is no such thing as cruelty free when it's made from the hair of a wild animal. Think of the conditions the animals are kept in for the sake of a pair of eyelashes. 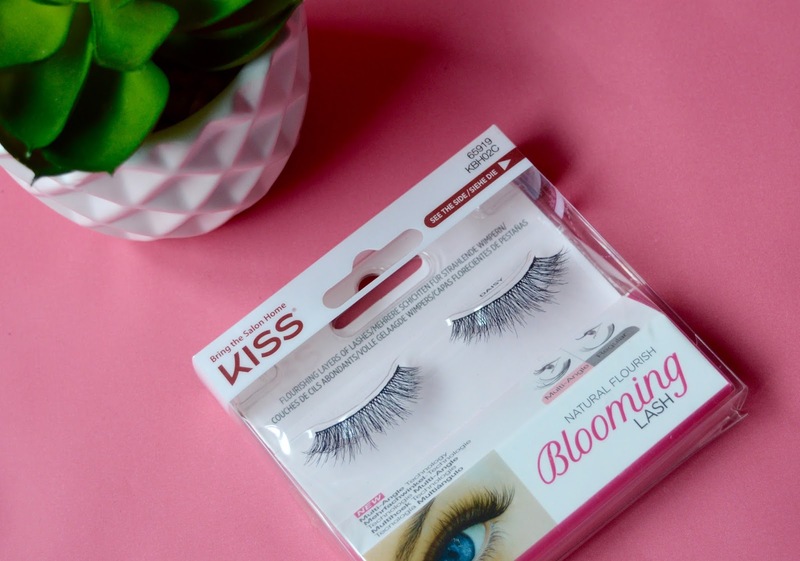 'Blooming Lash' by Kiss, Daisy - Similar to Peony, Daisy are part of the Blooming Lash Collection - designed to create the look of natural eyelashes with depth and volume. 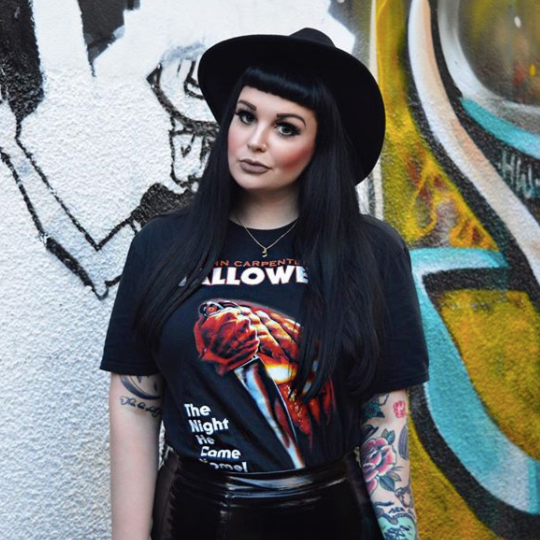 Each hair is a different length to fan out the eye and give a more striking look. If you tend to go for a more subtle lash then I think Daisy may be the option for you as it is the more feathery and light of the three. 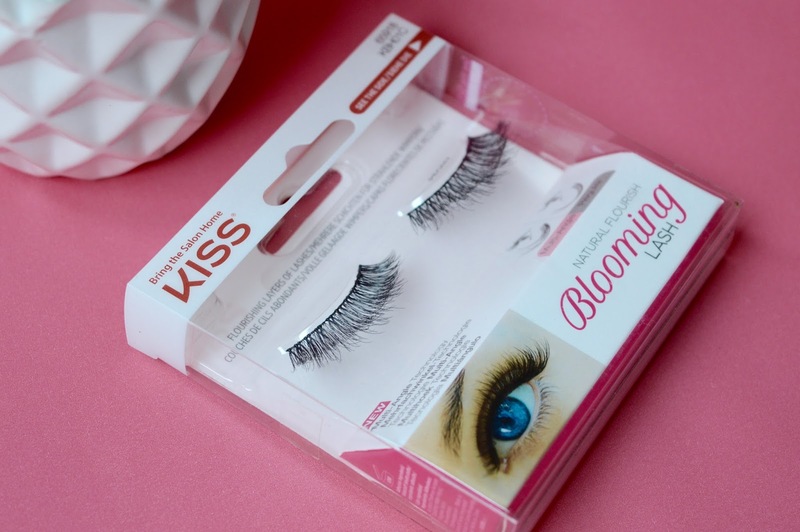 These lashes consist of one layer making them more natural looking whilst also giving your natural eyelashes a boost. I actually found these ones a lot easier to apply correctly first time and they didn't seem to peel up so much at the corners. Not sure if I just got lucky but they seemed to go with the curve of my eyelid a lot better. I've actually worn this particular set to a job interview as they're surprisingly subtle but you can build on them using mascara and varied eye shadow looks. So that's it for my Top 3 Fake Eyelashes from Kiss, have you tried their eyelashes or nail products before? 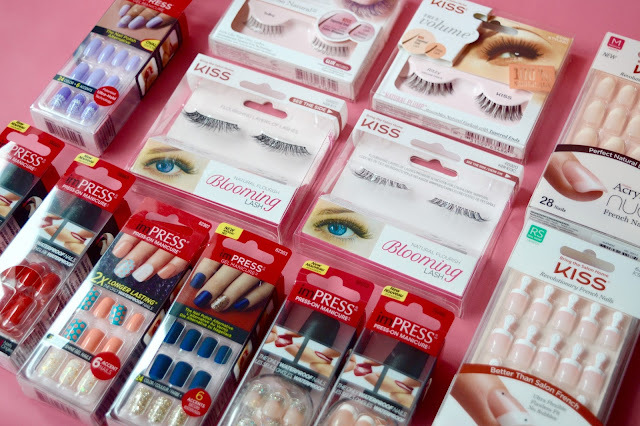 Which eyelash brands do you swear by? As always, I love reading your comments so please do leave me lots of lovely ones down below. *Disclaimer: These products were gifted to me by the brand although I was never asked to do a review or blog post. As usual, all opinions are my own and do not reflect those of Kiss. I hope you had a great St. Patrick's Day weekend, Sophie! I'm not much of a drinker (as I think you are?) so I celebrated by watching Ken Loach's The Wind that Shakes the Barley (2006). I actually re-watched Neil Jordan's Michael Collins (1996) recently,too. I mean that you're also not much of a drinker like me (I think) in case that was ambiguous. That's Gil - I've never really considered St Paddy's to be much of a thing here but we went to an It's Always Sunny in Philadelphia themed night in London which was fun :) I'm not a big drinker (if at all) so it's all a bit wasted on me. What did you get up to? Ha that's OK I knew what you meant.